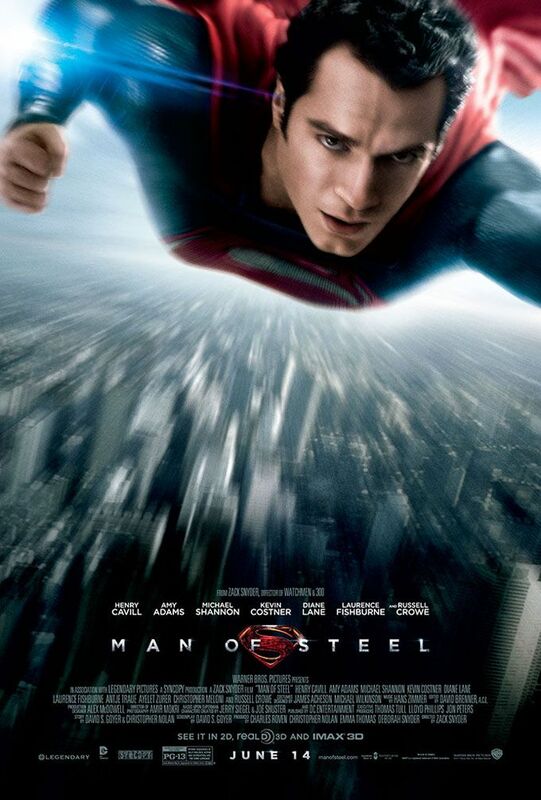 My Geeky Geeky Ways: Man of Steel - The NO SPOILERS Review! Man of Steel - The NO SPOILERS Review! Was it perfect? No. Does it have problems? Yes. But there are many moments that made me feel like a five-year-old-kid watching Superfriends in my Superman Underoos again. And that, to my mind, is the best you can hope for from any Superman story in any medium. That being said, this is one of the darkest takes on the Superman mythos in history and certainly the darkest one prepared for the masses by Warner Brothers. There's a lot of violence and a fair bit of salty language - probably nothing your middle schoolers haven't heard in the hallways between periods and indeed, the worst of it takes place during a flashback showing a young Clark Kent being bullied - but I'd leave any child younger than a Tween at home for this one. The performances are all-around excellent and - save for a few plot holes - the script by David S. Goyer is well-written. Henry Cavill makes the role of Clark Kent his own. The Kents and The Els are both played well. Michael Shannon develops General Zod into a well-rounded, sympathetic villain. But for my money, the most impressive performance belongs to Amy Adams, who plays against type as the tough-as-nails Lois Lane and excels in much the same way that Anne Hathaway surprised us all as Selina Kyle/Catwoman in The Dark Knight Rises. Visually, the film is gorgeously shot and directed. More than any other take on the Superman story, this film presents us with the view of a truly alien Krypton - both visually and in terms of their society. Zack Snyder reigns in his usual tendencies as a director to overwhelm the viewer with CGI up until the very end when it makes sense for the viewer to feel overwhelmed. Whether this is due to Christopher Nolan's influence as a producer or Snyder's timing as a director improving is unclear but apart from relying too heavily upon a shaky cam, I have no complaints about the look of things. Bottom Line: This is a great movie and it should be viewed on the big screen. Just leave all your preconceptions about what a Superman movie or a superhero movie should be like at the door. Man of Steel is an entirely new animal and should be treated as such. NOTE: Comments are welcome, but please do not post Spoilers in the comments on this article. Thank you.